A free puff stitch doily crochet tutorial for a round hot pad! This pattern is not as difficult as it looks. With the help of our step-by-step guide, you can easily make this in few hours. You can impress your loved ones by gifting them this puff stitch doily crochet. So don’t waste your time and let’s begin your interesting project with us! Are you looking for some handbags for a breezy outing? 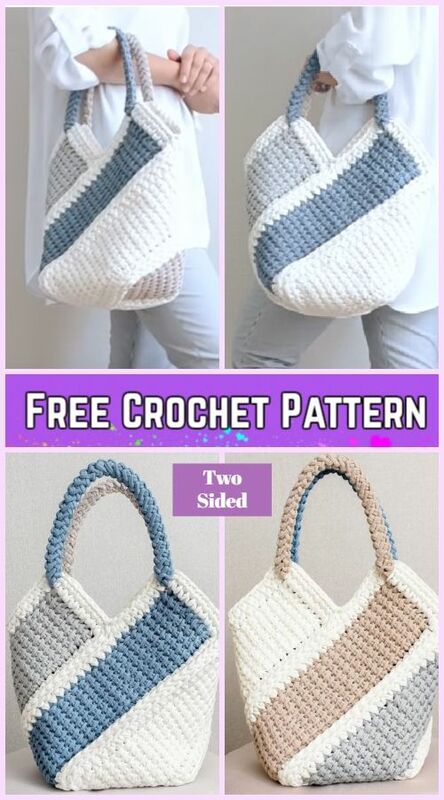 We are here for you with a Tunisian Crochet Ten Stitch Handbag which includes free crochet pattern. This is a beautiful project which you would love working with lesser time. You can start this project in any colors you want. You can also attach flowers, seashells and other things to make it more attractive. Find the video tutorial for this attractive handbag from HERE. Grab the mind-blowing techniques to crochet three attractive basic Tunisian crochet stitches with the help of our quick and easy to follow tutorials. This crochet stitch tutorial will train you how to crochet the thermal stitch aka double thick crochet stitch in the most easiest way that is perfect for potholders, washcloths or any other projects which needs constancy and determination. You can find the tutorial from HERE. This crochet slouchy hat pattern is easy and fun to make. It’s having tons of textures and it featured a graceful ribbed stitch design that is perfectly suitable for boys, girls, teens, and even for adults too. No more words are needed! Every visitor should try at least once as this is one of the simplest patterns available which will look awesome with your any attire. This is just a beginning to look a lot like winter around here! Here, we have Crochet women slipper free patterns for you to look more beautiful and cuter these winters. This is the trendiest slippers which everybody wants to have. You don’t worry! In this tutorial, we will share each and every step for making these cutest crochet women slippers.